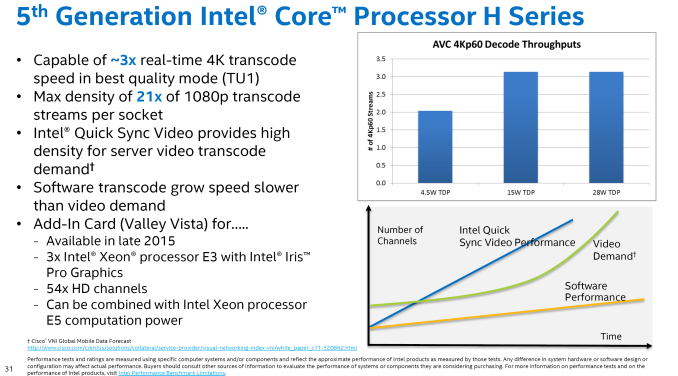 The hubbub about the Broadwell Xeon family was relatively interesting. We managed to get hold of the models that came in a socketed form for testing, the E3-1285 v4, E3-1285L v4 and the E3-1265L v4, but because these parts use Intel’s Crystal Well design giving 128MB of eDRAM, there are plenty of opportunities to accelerate certain types of workload. We saw big increases in large-frame memory transcoding as the frame buffers did fit into the eDRAM, or in other memory intensive benchmarks such as compression. Despite all that, the Broadwell Xeon family is somewhat short lived with Skylake variants being released almost immediately (although Skylake at present is not with eDRAM). 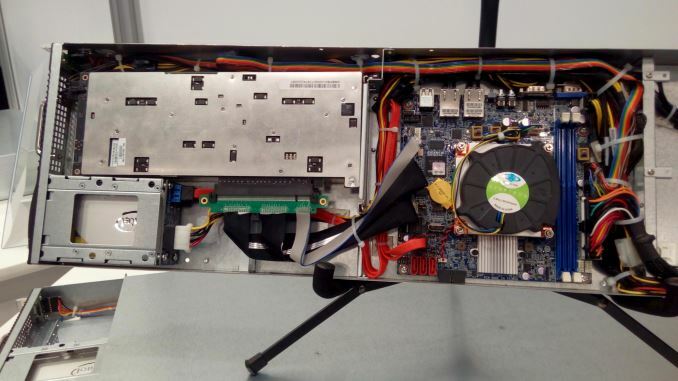 This is essentially a 2U, half-width node with a Supermicro motherboard, a Broadwell Xeon, space for two sticks of DDR3 ECC RDIMMs, routing for 2.5-inch SATA drives, networking, and then a PCIe adaptor card for another accelerator, such as NVIDIA (or Valley View?). The orientation of the system means that Cirrascale has route a lot of things around the chassis, and the rear IO of the motherboard actually has to be funneled out of the case to where it is appropriate. It is interesting that Cirrascale is quoting 144 streams at under $80 per stream, which comes out to $11520 per unit (I assume minimal memory, near-zero storage?). Also, under six watts per stream extrapolates out to 864W total, so I’d imagine that those ‘144 streams’ also means the cost of the PCIe accelerator alongside the Broadwell CPU. 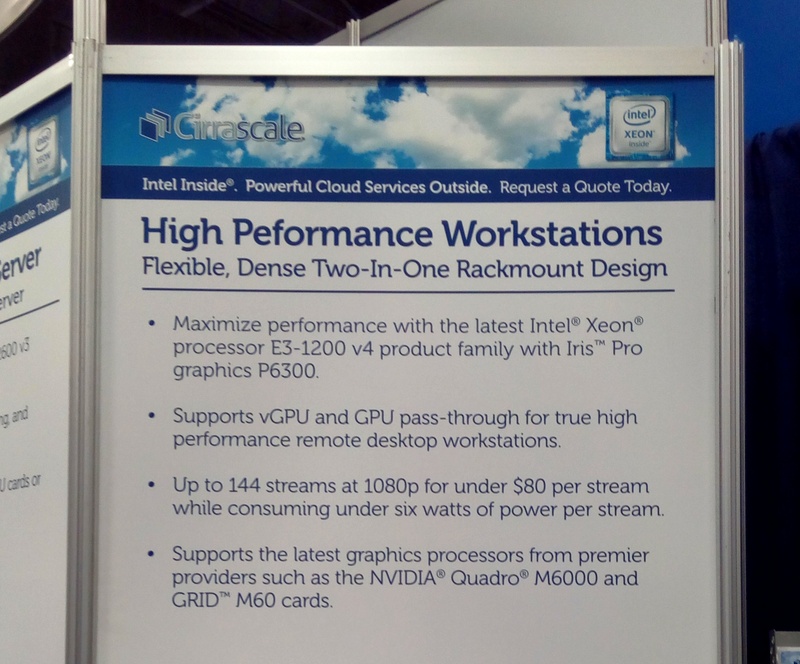 Nevertheless, it is interesting to see the Broadwell Xeon family more out in the open. It will be interesting to see where else it pops up. 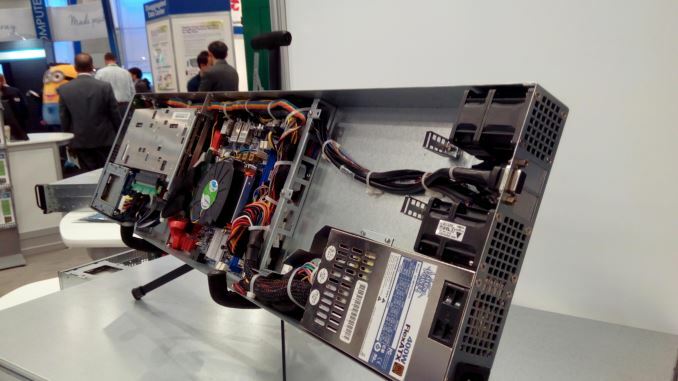 These are "Twin" systems in SuperMicro parlance - two entire CPU/RAM/GPU trays go into a 1RU space, and share a power supply.